Every self respecting rider owes themselves a few pieces of quality gear, and spring is a great time to update your arsenal! Here's the rundown on what you need. Bibs are worn under a jersey and are superior to standard shorts in that they have no waist elastic, freeing up space for the belly and eliminating friction around the hips. It's a more contoured fit, and the secret sauce for all-day riding. Once you ride in a good bib it's hard to go back. The only downside is bathroom breaks are a little more tedious. Padded shorts have come a long way! The latest chamois more closely conforms to the body. Bib shorts use shoulder straps (worn under the jersey) to hold the chamois firmly in place. This reduces friction, sag, and the dreaded padded diaper look. Expect to pay for it though. A good pair of bib shorts might cost $100, but the difference in comfort, cooling, and confidence is worth it. Easily identified by the price tag, anything at this level contains the latest technology in fabric, seamless construction, and a fit like second skin. Matching jersey and bib shorts usually sold together as pro kit. Skin suits combine shorts and jersey together in one unit. For those cool spring mornings, jerseys with a windstopper membrane are extremely versatile. They have great breathability and water repellency, and keep you warm by taking the chill out of the wind. Together with arm warmers, a windstopper jersey is comfortable in a wide range of changing conditions. $$ - Form fitting/Athletic fit/Rally/Caliber/etc. This is where most of the market resides. Expect a snug fit with a ton of designs to choose from. Bright is right for road. Mountain bikers lean towards darker tones, though there are no rules. $ - Club fit/Event Series/Fitness/etc. These go by many names but have one thing in common--a looser fit that's a cross between a jersey and a regular T-shirt. The non-spandex crowd will prefer the more casual look. Ladies have a growing number of options that blur the line between active wear and summer chic. Sure, your feet feel fine now, but when you're halfway into a century on a hot day, you'll wish you got some legit cycling socks. Good cycling socks have a contoured fit that hugs the foot, seamless construction, and great breatheability. Together with the shoe they are the biker's most used (and least appreciated) item. When riding, most of our weight comes down over our sit bones, then our feet, then our hands. And that's also where good cycling gear makes the most difference. Ever get numbness in the hands on a long ride? Has your grip ever slipped while hitting a bump? 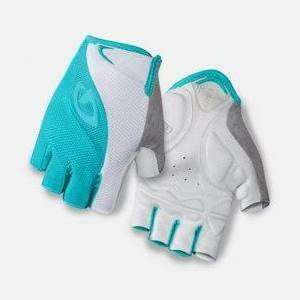 Good cycling gloves increase grip, relieve pressure points, and increase visibility when signaling. 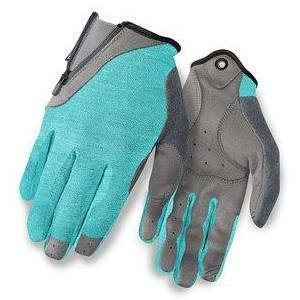 They protect your hands in case of a crash, and keep the grime off when fixing a flat. Beware the cheap stuff! There's a lot of poorly made, imported apparel out there. Get your gear from top quality manufacturers like Voler and Castelli. These are hard-working, long-lasting and often copied brands. Voler is made in the USA, sponsors local events, and sells direct to customers online. Their customer service is excellent. Rolla Cycling members save 25% on all Voler apparel.